Subscribe for just £3.99 a month to guarantee your copy of Your Dog Magazine, and get it delivered directly to your door month after month, saving you traipsing all the way to the shops! You can easily cancel your subscription at any time. 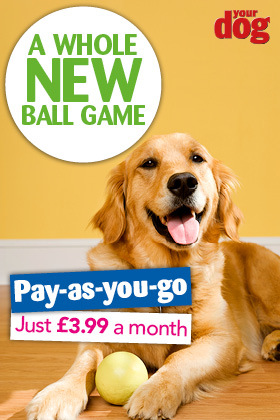 Subscribe to Your Dog for £3.99 a month via Direct Debit. Cancel at any time.